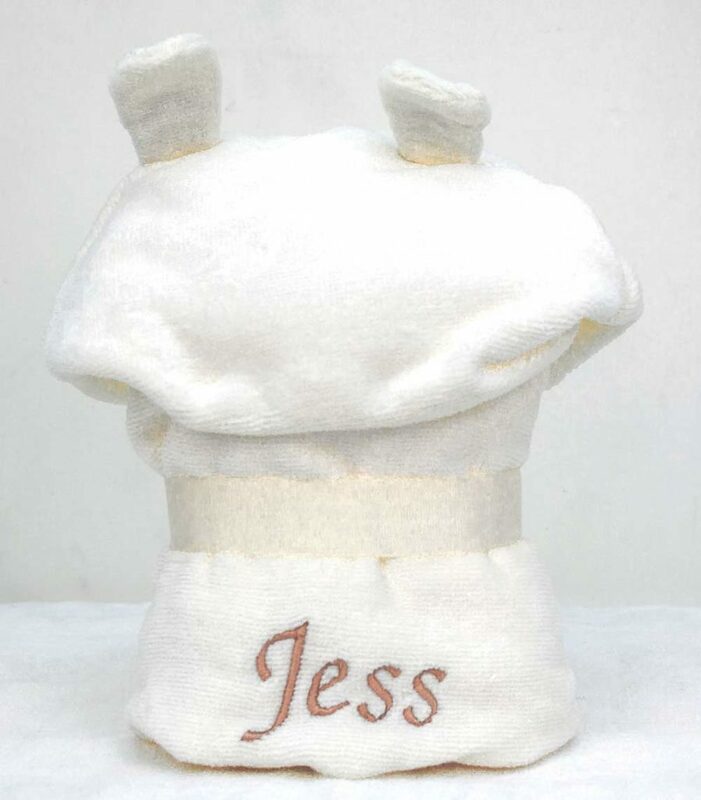 This Smiley Bear hooded baby towel is made using the finest soft and super-absorbent 100% velour cotton terry towelling which stays plush, wash after wash.
For a really special touch, try personalising your new Smiley Bear baby gift towel with your choice of name beautifully embroidered on the back. 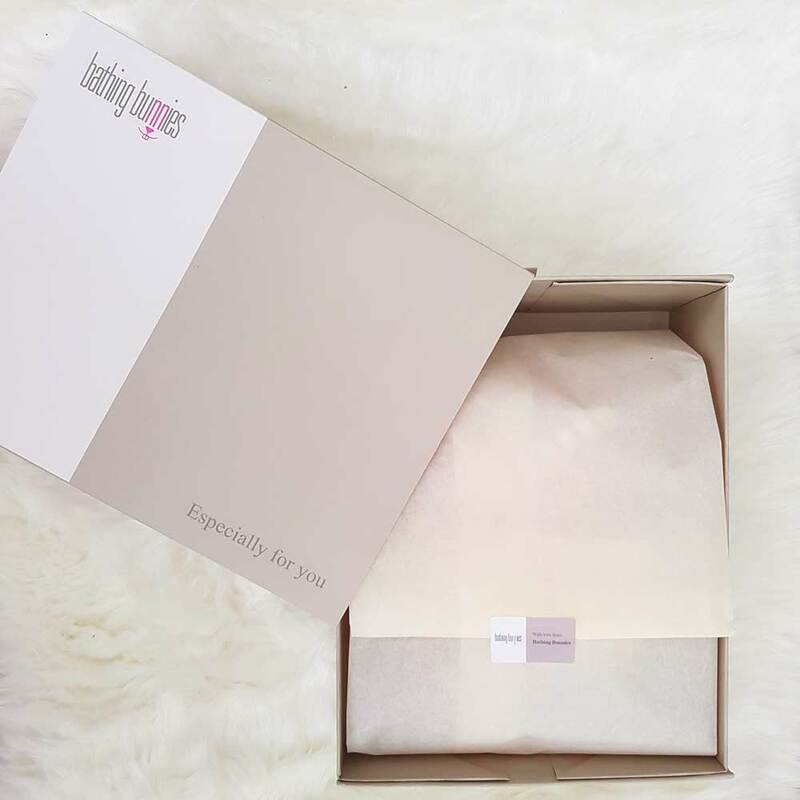 If you select the gift-wrap option, we will present your Smiley Bear baby bath towel in a Bathing Bunnies gift box lined with tissue paper to create an extra special baby present. Everyone loves a cuddly teddy! 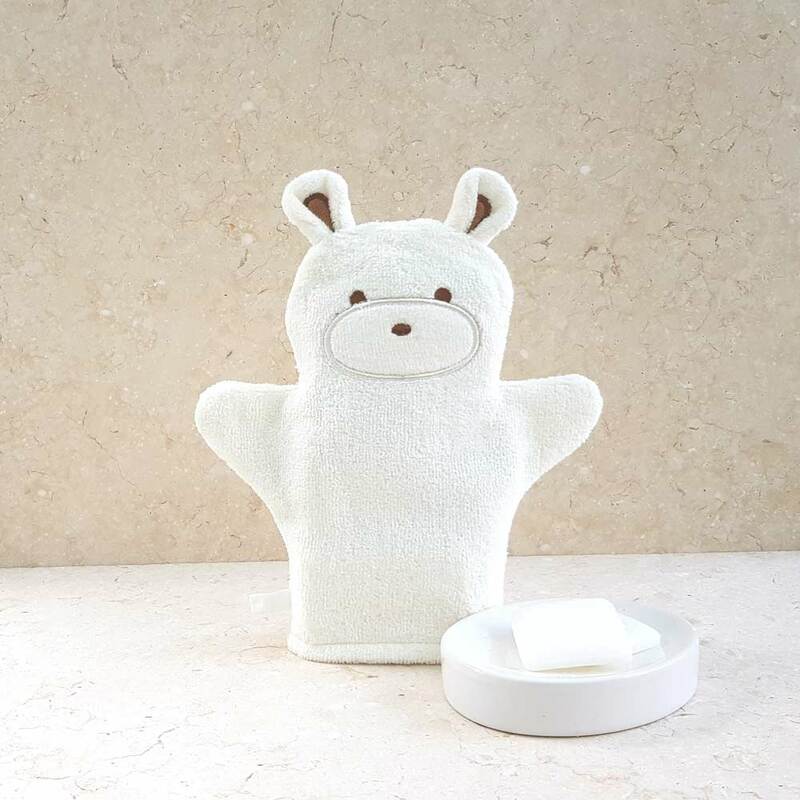 Why not treat someone special to an adorable Smiley Bear hooded baby bath towel made in snuggly soft neutral cream cotton towelling and sweet teddy ears! 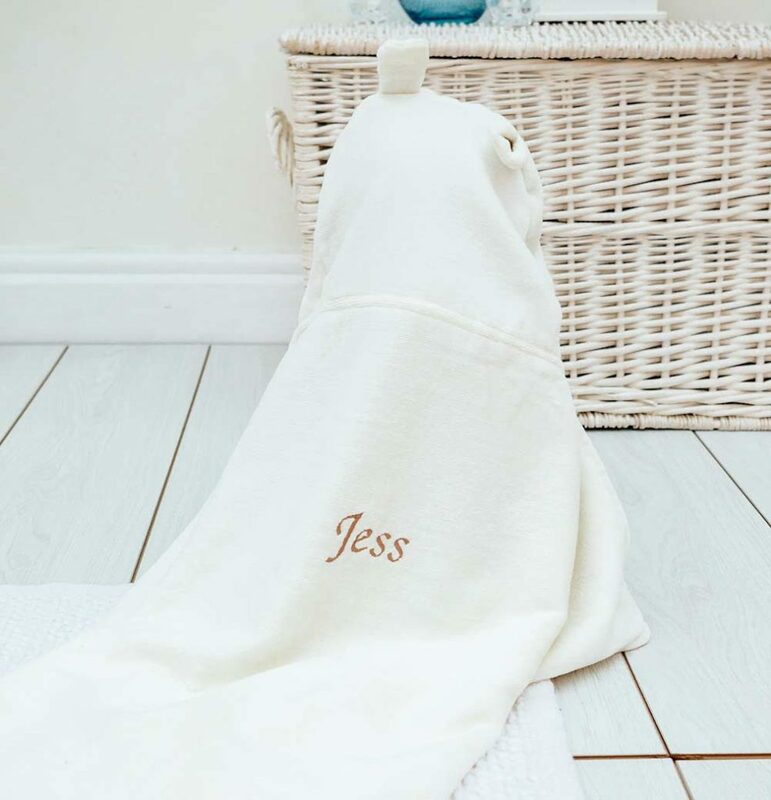 Our luxurious soft hooded baby bath towels are the ultimate in bath time chic and make the perfect personalised baby gifts - for baby shower presents or newborn baby gifts for christenings, birthdays and Christmas. They are cleverly folded and beautifully presented with a cream ribbon to create a freestanding soft 'toy'. Such good quality. Beautifully done. Loved the packaging. I have only seen a photo but it looks great and the lettering is lovely. 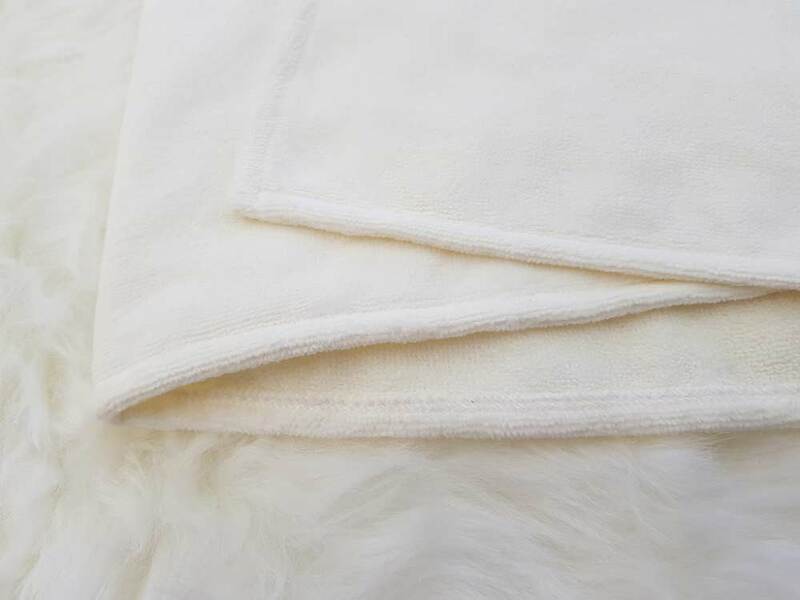 The towel is very soft, excellent quality! Beautiful product. Ordered the personalised bath towel with a hood. Arrived beautifully packaged and in time. 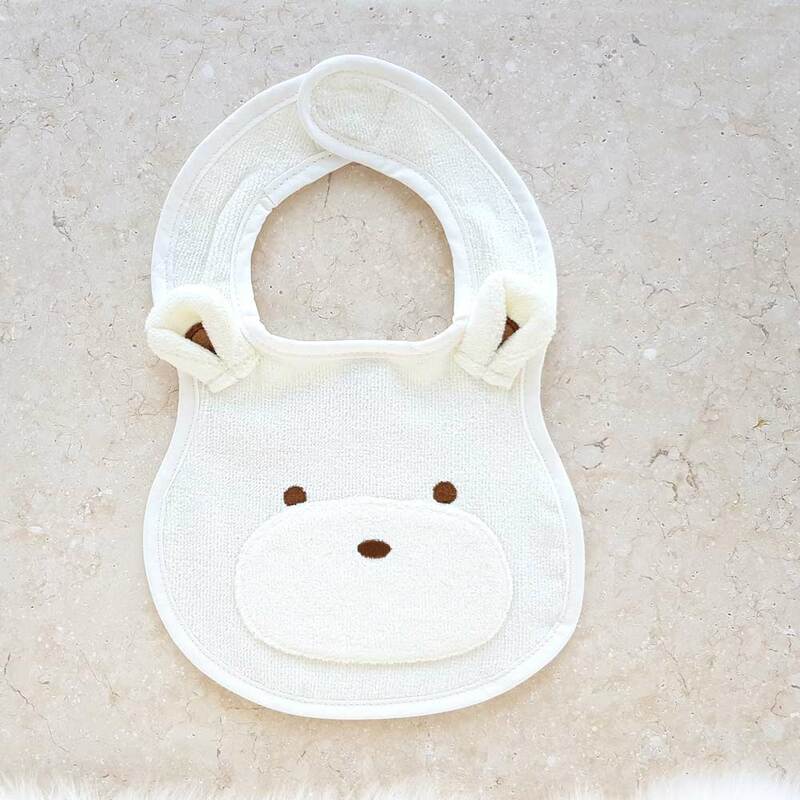 Lovely gift for new babies. Lovely gift, good quality and looks great in the gift box. Lovely item but gift wrap box we paid for was falling apart on arrival, had to use tape to keep it together! Lovely item, as described and very quick delivery. Presentation was a lovely surprise – I won’t spoil it but looks just as special wrapped up as opened! Beautiful gift that my friend was very pleased with. Love the way it was wrapped/delivered.